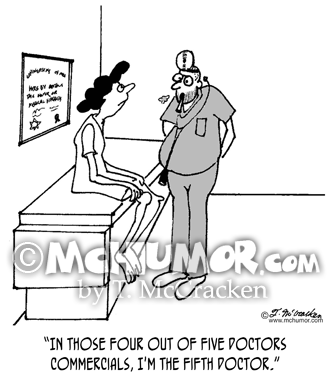 Medical Cartoon 3071: A slovenly doctor who's smoking saying to a patient, "In those four out of five doctors commercials, I'm the fifth doctor." 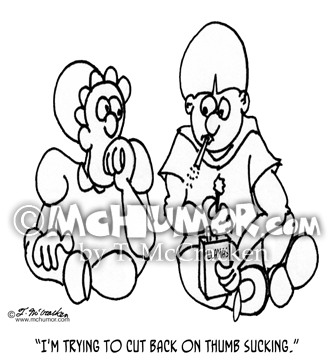 Baby Cartoon 2497: Baby smoking saying to another, "I'm trying to cut back on thumb sucking." 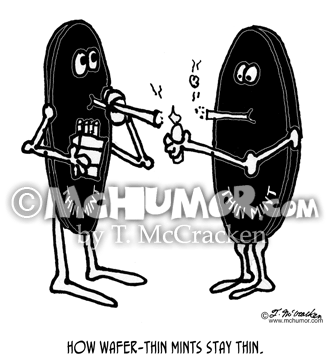 Smoking Cartoon 8061: “How Wafer-Thin Mints Stay Thin.” Mint patties smoke cigarettes. 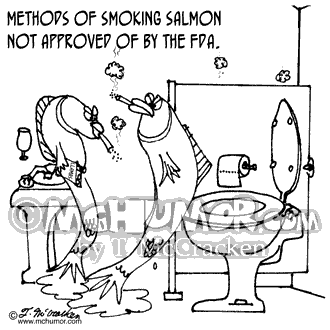 Salmon Cartoon 3485: "Methods of smoking salmon not approved of by the FDA." 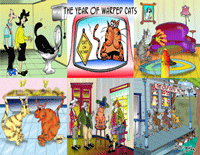 Salmon smoke cigarettes in a restroom. 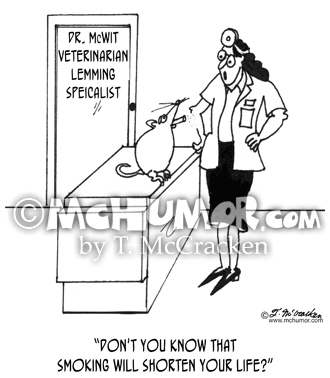 Psychology Cartoon 3063: A veterinarian saying to a lemming who's smoking, "Don't you know that smoking will shorten your life?" 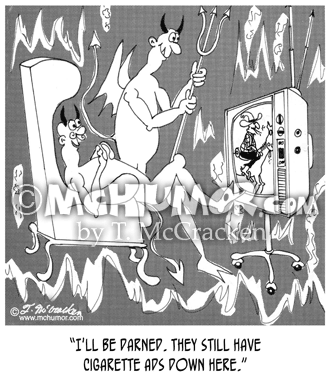 Smoking Cartoon 5098: A devil watching TV in hell saying, "I'll be darned. 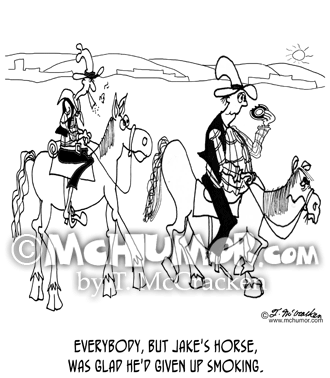 They still have cigarette ads down here." 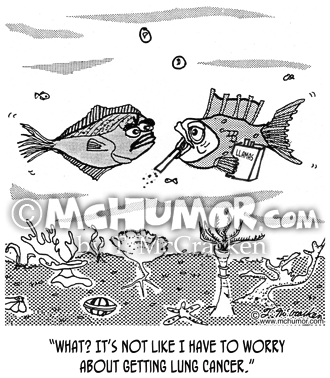 Cancer Cartoon 2522: A fish smoking says to another, "What? 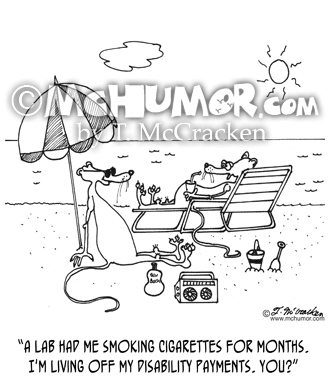 It's not like I have to worry about getting lung cancer." 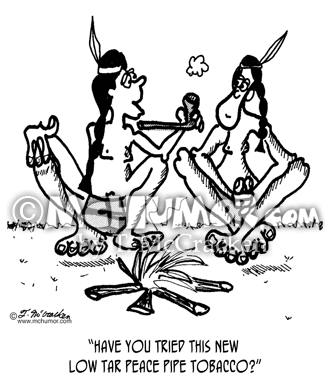 History Cartoon 2225: A Native American saying to another, "Have you tried this new low tar peace pipe tobacco?"